Who doesn’t love the rain? It’s a beautiful force of nature. Sure, until you are stuck in traffic, surroundings are flooded, you start getting the colds, and your clothes start to smell really bad. That last one is hard to miss. The smell of clothes that didn’t dry up completely and then pressed, or damp clothes that didn’t get enough air or sun will surely get anyone’s attention, but for all the wrong reasons. Condo living can make laundry day a bit more challenging. The space, or lack of it, is a common problem. You hardly have space for the essentials, how can you even have a laundry room? Or if not a room, can you even begin to think how you’ll do your laundry in there, dry the clothes, etc.? Okay, all those are valid. And yes, there are ways to deal with them. You’d be surprised it was this easy all along. 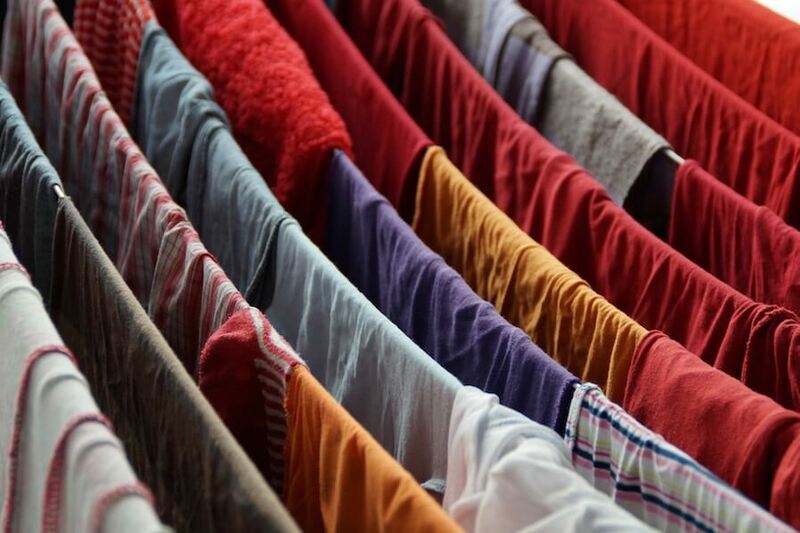 Go through this list and consider all your condo laundry dilemmas solved. Where to put the washer? “Where to put the washing machine?” This is probably the most asked question about doing laundry in a condo. The most common locations are the bathroom and the kitchen because these “wet” areas have quick access to water. In the kitchen, common sense dictates that you should not put it near your cooking range unless you want grease all over your clothes. Find a spot by the corner. The bathroom also makes perfect sense because you can just dump the dirty clothes and rinse them after if your washer isn’t automatic. For front load washers, you can just hide them underneath your sink. Other areas to consider are a small space in the hallway or on your balcony. DMCI Homes condos have a balcony for all units where you can extend your living room, grill barbecue, and in this case do your laundry. You can put your washer there, but drying clothes in the balcony are usually not allowed. That being said, it would be great to invest in an automatic top load or front load washer and save yourself from rinsing them by hand. 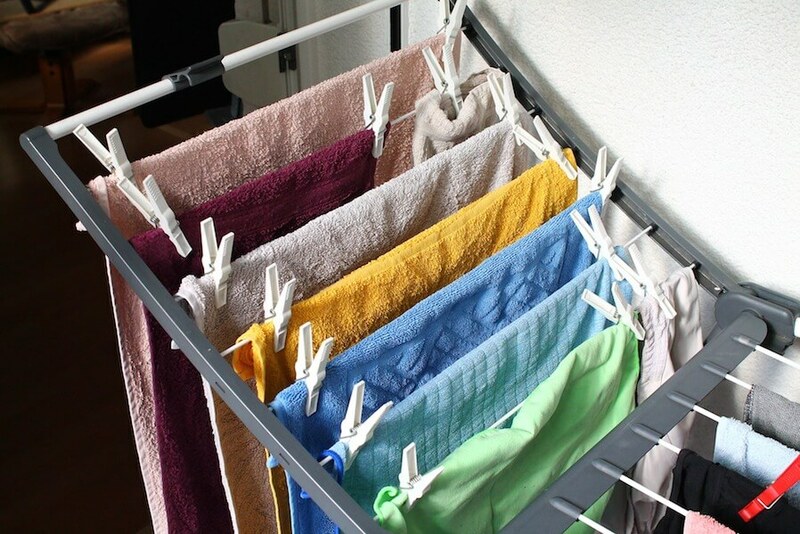 After they have been washed and rinsed, you’re only problem then is where to hang them, which is way more manageable. If you are not comfortable to have a washer in the kitchen, or if the bathroom is too small, and you don’t have a mudroom or space in the hall, try to be more creative. You don’t need an entire room to do your laundry, all you need is a tiny space in your house. 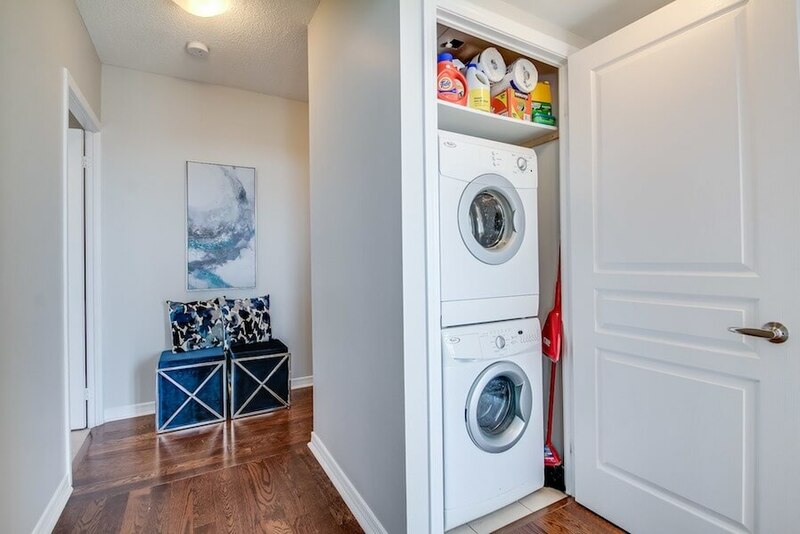 You can opt for an off-the-wall laundry wherein you place your washer against the wall and then build storage around it for your hamper, detergent, and other laundry essentials. You can also have a built-in closet, especially for your laundry. Put your washer in there and some shelves, and close it if not in use. If you live in a loft-type condo, you can use the space under your stairs for your laundry. These are just some small laundry room ideas that do not only save space but also put everything in order. The washer can take up much space already, so don’t waste anything more on hampers or baskets. When you decide on a space for your washer, make sure to have storage for your laundry supplies. You may also have storage for your hamper or towels. It would also help to have a folding station or a small drying rack on top of the washer. The key here is to organize, and maximize condo space by using the walls and the ceiling so that you don’t end up taking a lot of precious floor space. Most condo communities have laundry cages on the roof deck where tenants could air-dry their clothes safely. Use that if you can, but when it is the rainy season, you can’t really count on it. One of the laundry strategies on rainy days is to have drying racks around the house. It could be that space between your washer and the top storage. You could also have the classic accordion drying rack or a pull-down one. You may also just opt for the simple clothes rack. It is expected that if you choose to dry them inside the house that the clothes have gone through a dryer and are just a little bit damp. You don’t want to flood your condo now, right? If you can only afford to have the washer somewhere in your bathroom, kitchen or hallway, but can’t have all the storage and built-in shelves, a laundry room island that is compact and multi-purpose is a good back-up plan. This is essentially an ironing board that also acts as a folding table with storage underneath. Some have wheels too for added flexibility. It is important to use a good quality of detergent, especially during rainy days. Go for ones that are unforgiving to mud splatters and also to odor. Using fabric conditioner is also a must. Having quality cleaning agents will help you keep your clothes in good condition, and smell when it is impossible to air dry them outside. In trying to manage condo laundry, it is important to prioritize. When it rains for an entire week and all you have are drying racks indoors, you can’t have too many clothes at once. Wash only the ones that you’ll need, and think twice about putting that pair of pajamas in the hamper after being worn once. If the damp clothes are hanging too close, it would take longer to dry. So remember to prioritize and manage. Condo living may not usually come with a luxury of space, but that doesn’t mean you can’t get creative. One of your trusted condo developers did its share to help you with the space issue by providing facilities like service areas or laundry cages. But if you prefer the indoors, You can do your laundry in your condo regardless of space, and even on rainy days. For as long as you organize and don’t use more space than what you need, you are good to go.